More than 10 million Canadians prefer Rogers as their Wireless Network. 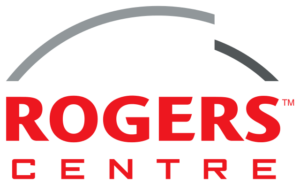 A Rogers Canada Full IMEI Check can come in handy (and it will) either when you want to unlock a Rogers Canada mobile or if you are thinking about buying a refurbished android smartphone or iPhone from Canada. 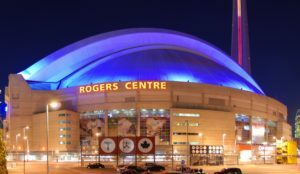 What is Rogers Canada Full IMEI Check Report? An IMEI Check report can be applied to any Mobile Network without limitations. The only requirement is the IMEI number of the device you want to check. All mobiles are recognized by manufacturers and Carriers by the IMEI number and all of them are stored in large databases (usually, nationally). Verified IMEI Check companies like UnlockSpector have certified access to these databases and provide you all the necessary info to unlock it or make sure that the device is functional. What will I learn with a Rogers Canada Full IMEI Check Service? There are many hidden issues that can make an iPhone or Android phone useless or stop you from unlocking it. So, which are these problems? An IMEI Check Report will show you if a smartphone is simlocked to a Carrier and of course if the iPhone is locked which Mobile Network locked it. is added to Canada’s blacklist. Any mobile appearing on a national Blacklist CANNOT be used on this country’s respective wireless networks. A device will get unblacklisted (aka CLEAN) only when the reason it was blacklisted no longer applies. iPhones have another security measurement called iCloud Activation Lock or Find My iPhone. They were used to be 2 different apps but since iOS 9 are one and the same. An iCloud locked iPhone can only be activated with original owner’s Apple ID and password. It is extremely difficult to iCloud Unlock an iPhone but there are ways to do so. There is an illegal SIM Unlocking procedure where the motherboard of the mobile is replaced with another one which is marked as unlocked. Thanks to IMEI Databases, smartphone manufacturers and Wireless Networks find it out and flag the phone as replaced. Eventually, this means that the phone becomes blacklisted. 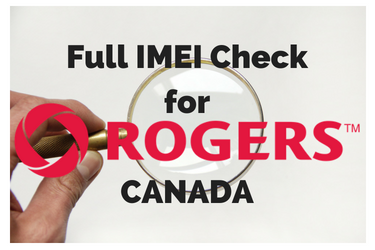 The Rogers Canada Full IMEI Check Service will give you the original Serial and IMEI number of a device and show any reflected change. Do I need a Rogers Canada Full IMEI Check Tool? If you want to network unlock a Rogers Canada iPhone or Android device then the Carrier will ask for this info. If you are not the original owner and bought a locked used smartphone then you won’t be able to provide them with this necessary data. On the other hand, when you want to buy a second-hand phone from Canada you won’t be able to avoid scams otherwise. And there are many refurbished mobile selling scams online. But even when you buy a used device from a local retailer or through a personal transaction you won’t be able to understand if everything is ok just by placing your SIM Card and making a call. The IMEI Check report will show you if your cell phone is eligible for network unlocking. Every Carrier has its own unlocking policy but in the end, they all look alike. If everything is ok they will immediately send you an unlock code for free or with a small fee for enterprise customers. Also, all Rogers Canada devices are sold unlocked since December 1, 2017. If you can’t use this kind of a smartphone then something else is going on, something that only Rogers Canada IMEI Check Service can uncover. You can learn more about Rogers Network Unlocking from their Device unlocking FAQ. If you have problems in carrier unlocking your smartphone with Rogers SIM Lock Deactivation Services there are always trusted IMEI Unlock providers like iPhoneUnlock.Zone which uses ONLY legal means and methods in order to successfully and permanently unlock your iPhone. Leave a comment below if you still have questions about IMEI Checking and SIM Unlocking. Share your experience and make us better. Until next time, take care!